Small Business Saturday is quickly approaching; November 24th to be exact. Business Mogul supports small businesses and encourages everyone to “shop small”. America is predicated on small businesses. Many of these small businesses are beginning to find ways to thrive and innovate in their respective industries. We have compiled a list of ten most interesting small businesses from various cities across the country. This drive-in movie theater is located in Miami, Florida, one of the most popular cities in America. It is located right in the middle of the city. The drive-in movie theater has exactly 18 car slots available and has a traditional feel, which includes a 1950s Ford pick-up truck as its movie projector. If you’re in Miami, grab your popcorn, a date, and head over to Blue Starlite Mini Urban Drive-In. The Fojol Bros. is a food truck company located in Washington D.C that serves Indian and Ethiopian style food. This is no ordinary food truck company, as the food truck chefs are also carnival performers. The brothers dress in colorful attire and catch the attention of by-standers when they roll up outside of buildings in D.C. 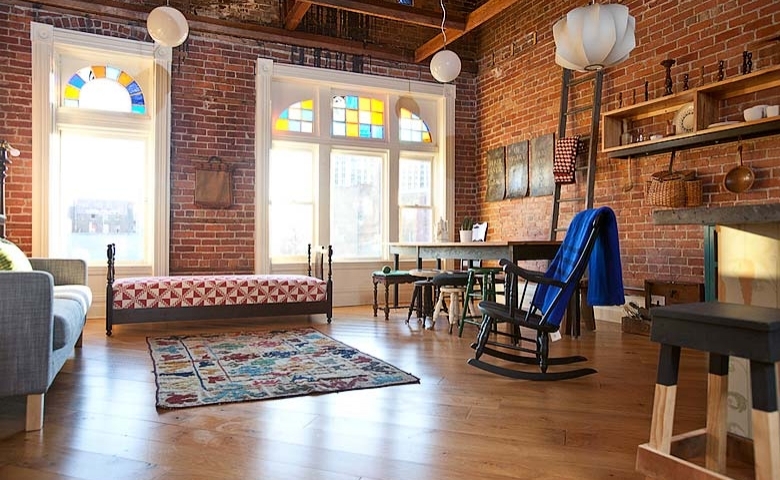 Honor & Folly is a vintage bed and breakfast located in Detroit, Michigan. This lodge is designed to look like an inn from the early 1900s. The hotel gives off vintage vibes while still having furniture that fits the early 1900s. Honor & Folly also holds cooking classes hosted by some of the most well-known chefs in the area. Kennedy School a boutique hotel and events venue that is in an old elementary school located in Portland, Oregon. The Kennedy School contains 57 hotel rooms, bars and restaurants, a movie theater, a brewery, and plenty of space for events. This custom men’s suit shop is located in New York City. My. Suit allows customers to pick their suits either in person or online and contains made to measure suits for men. After the customer’s measurements are taken, the customer can pick from many different fabrics and cut options in store or online based on how they want their suit made to fit and look. Need a custom suit, visit My. Suit! PhotoMoto is a mobile photo booth that is located in Houston, Texas. Being ran out of a restored 1978 Volkswagen bus, PhotoMoto is a true small gem in a large city. Customers can rent the bus for events and parties. The owners will even drive the bus for your special event! Pizza Brain is America’s first pizza museum and pizzeria which located in Philadelphia, Pennsylvania. It was started in 2012 by Brian Dwyer, who is a pizza lover and have a large collection of pizza paraphernalia. According to the Guinness Book of World Records, Pizza Brain has the world’s largest collection of pizza memorabilia. The Best Fish Taco in Ensenada is a comedy show and taco stand located in Los Angeles, California. This taco stand is a hole-in-the-wall and hosts comedy nights, and the catch is the comedy show only costs as much as your fish taco. 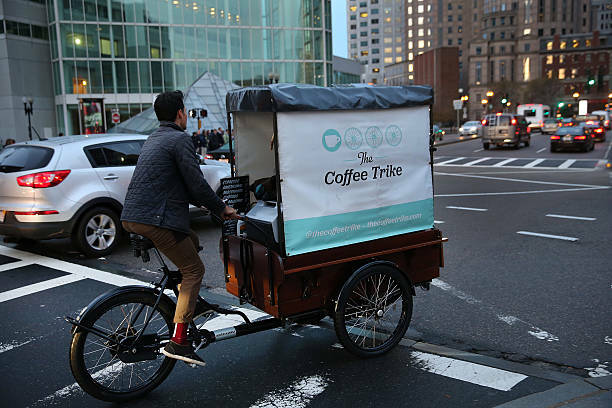 The Coffee Trike is a full-service coffee bar on wheels which has various locations in Boston, Massachusetts. Alessandro Bellino wanted to open a café and did so in a unique way by getting a tricycle with a cooler that is equipped with a full espresso bar and cold beverages. The coffee is roasted by the George Howell coffee company. Hot Doug’s is a sausage superstore located in Chicago, Illinois. This store is famous for its hot dogs and is a great place to sample different kinds of dogs. They have more than a dozen different dogs to choose from and can be dressed with ten different condiments and unique sides.